Check Out These New RVs Under $15,000! You’ve dreamed of RVing for years. You’ve planned your perfect luxury vacations at must-see destinations all over the country. You’ve logged mental miles and imagined making memories with your loved ones. But all of these things have stayed dreams, because you haven’t taken the plunge yet. If you’re like many people, the cost of RVing can seem daunting, a looming figure of dollar signs standing in the way of you enjoying the life you deserve. But what if you could find affordable RVs for sale? Check out these new RVs under $15,000 now. Your dreams of the RVing life are closer to coming true than ever before! 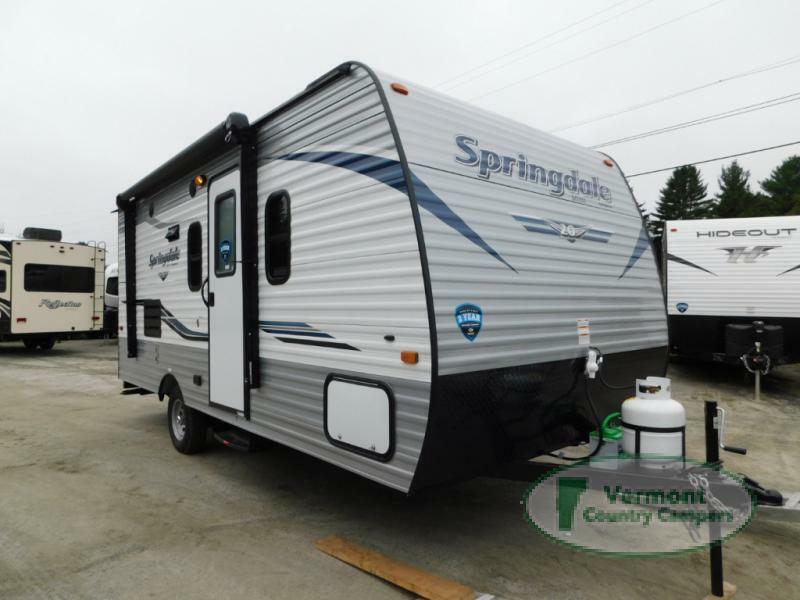 For example, take a look at this brand new 2019 Keystone RV Springdale Mini 1790FQ travel trailer for sale. 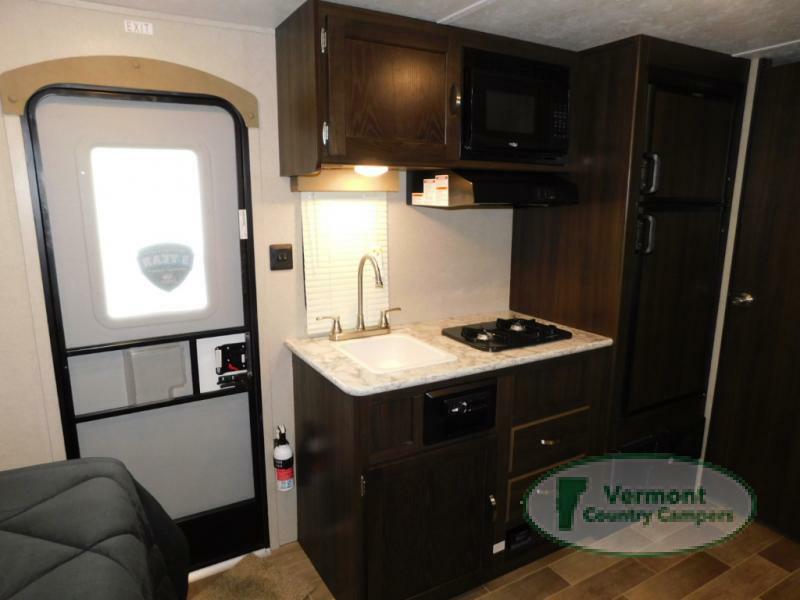 Featuring one slide, Queen bed, full bath, and a dinette which converts to extra sleeping space, this 2019 travel trailer is perfect for your traveling needs. You’ll find a 2 burner range, 3.2 cu. ft. refrigerator, and a microwave in the kitchen. Your available storage space is maximized with overhead storage as well as floor level drawers and exterior storage compartments. This 2019 Keystone RV Mini travel trailer is ready to go wherever your heart desires – for only $155 a month. We have several other RVs under $15,000 to explore, and we hope you take a look! These 2019 travel trailers for sale can get you on the road for as little as $134 a month. That’s cheaper than a cell phone bill. Financial concerns shouldn’t hold you back from exploring new destinations. If you’re ready to finally make the leap and start enjoying life, contact us to look at our affordable travel trailers today! Get a jump start on making the most out of 2019 by saying yes to your dreams!